There is a common statement made by the opponents of the LTE-supported iPad that the Cupertino-based technology giant won’t reveal 4G technology in its device because of the fact that it is not widely available. They also support their point by saying that why would a company make it hard for it with a complex manufacturing process leading to 3G/4G models? The opponents of LTE technology fail to realize the fact that chips are already there supporting both LTE and 3G networks. To support our point, we can take the example of Qualcomm that revealed a new all-in-one chip. This is exactly the one that Apple will hope to feature in the next tablet device. 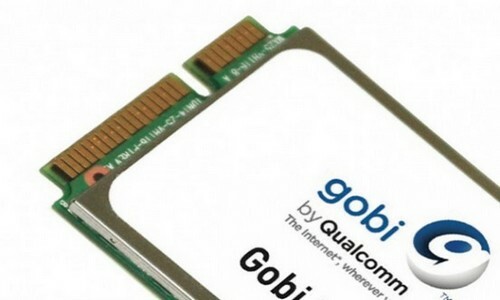 According to 9to5Mac, Qualcomm recently revealed the fifth generation of its famous Gobi line – the MDM9615 and the 9215. The new chip is compatible with a host of wireless technologies, such as LTE, HSPA, EV-DO, CDMA, TD-SCDMA, and TD-LTE. This single chip from Qualcomm will not only let Apple to produce a tablet device that supports both 3G and 4G technology, this will also allow the technology giant to sell its products on China Mobile, China’s largest carrier, having more than 600 million wireless subscribers. The carrier makes use of TD-SCDMA and TD-LTE technology – a major hindrance between the China Mobile and iPhone partnership. Although, the appearance of Qualcomm Gobi chip by no means guarantee that the next generation iPad will launch with LTE-support. However, the presence of this chip certainly raises the possibility of having a LTE-supported iPad in the future. Although, nothing is clear at the moment whether the next generation iPad will feature LTE support or not. We have to wait and see until we have some official words on the next generation tablet device from Apple.